Designing logos for your eatery or company should be one of the simplest tasks in this era because of the aid of logo designs that have filled social and online media. You no longer have to pay a designer quite expensively in order to design your Restaurant Logo. Rather, you require to download, edit, and customize the pre-designed logos. They come in different colors and shapes. They also suit different types of eateries depending on the foods and drinks offered. The Gold and Black Restaurant Logo is available for download, customization, and editing using Shutterstock editor. It comes in high resolution and diverse sizes. The vector design on a vintage background suits chef dishes & cards. The Pasta Restaurant Logo is a resizable vector file. It contains editable AI and EPS files in three colors. You can edit the layers, colors, and texts of this professionally designed logo using Adobe CS. The handmade Food Blog Logo Restaurant features a fork, knife, gold text, and watermark. The photographic logo design contains changeable fonts and colors. The logo contains EPS, PNG, JPG and PDF files for websites & print. The Indian Food Restaurant Logo prides in its branding elements, vector illustrations, creativity, and high versatility. You can edit it on Shutterstock editor or resize & print it at high resolution. Restaurant logo template provides designs for perfect hotel logos. It features a knife, fork, and spoon in three-color versions. This vector file is resizable, layered, and fully editable. The Restaurant Hotel Logos mockups feature smart objects and layers. It is downloadable in PSD and All files formats. Use it to lure your clients by customizing and editing it appropriately. The Tree Hotel Logo Restaurant suits cafes that serve foods, salads, and beer. It features a fork and pepper in an antique design. This editable vector file is ideal for banners, stickers, and menus. The Creative restaurant Logo is available for download in JPEG format. The minimally designed logo prides in its clean and flawless drawing. You can use it on hotel logos, menus, and brochures. The set of Restaurant Logotypes and Badges presents 80 Hotel Logos. The retro and vintage vector designs feature business signs and labels for fabrics and designs with editable texts, links, PSD and AI files. The handmade Restaurant Pizza Logo Design suits blogs, banners, bakeries, and Hotel Logos. It features changeable fonts and colors in JPG, PSD and PNG files. It also contains branding elements. The castle restaurant logo in CMYK color mode contains resizable and editable AI, EPS and PSD files. These Hotel Logos feature organized layers and modifiable texts and colors for cafes, restaurants and catering businesses. The set of 16 Restaurant Logotypes Design and Badges are useful on t-shirts, labels, stamps and Hotel Logos. They are available in vector files for download in JPG and AI formats under standard & extended licensing. 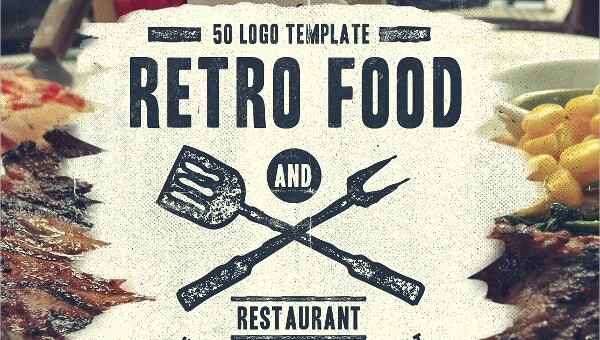 Freely download the 50 Retro Food Restaurant Logos in PSD file format. These Hotel Logos in retro design feature hand drawn vector illustrations and texts that are editable using Photoshop. The Restaurant Logo with Spoon and Fork comes as a vector file in high resolution and a variety of sizes. The Hotel Logos design suits menus, clip-arts, prints, and textiles. Food logos have been boring since they lack detail and creativity. However, the aforementioned Restaurant Logo Designs add flavor to developing logos for your café. Note that you can incorporate elements of branding in your logo to make it more useful and efficient in marketing your business.